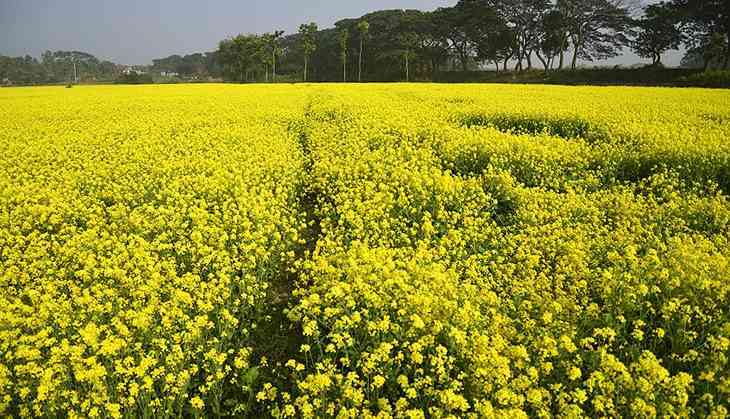 After Bihar, West Bengal has decided not to allow the cultivation of genetically modified (GM) mustard seeds in the state. The state government has sent a letter to the Centre asking them not to introduce genetically modified (GM) mustard as it would harm farmers. Minister in-charge for agriculture Purnendu Bose said, “We are not in favour of GM mustard seeds as we feel that it will harm farmers. The Centre is trying to promote multinational companies at the expense of our farmers”. Senior state government officials said that their main concern is that mustard is a major oilseed crop in the state. It is used to make condiments as well oil cakes for animal feed. So any attempt by the Centre to promote GM mustard seeds could have devastating consequences, they believe. The letter, a copy of with is with Catch, states that introduction of GM mustard seeds would harm the “independence of farmers” and the “food sovereignty of the country”. Many agriculture scientists are of the opinion that there is a need for more research before GM mustard seeds can be released. Several other states have also objected to GM mustard seeds. According to Pradip Majumder, agricultural scientist said “BT maize and BT brinjal was also released by the Centre without proper research and it was not at all successful. So it cannot ask states to release GM mustard without providing adequate scientific evidence”. “It is surprising that Delhi University is trying to commercialise a technology, which has so far been pushed by multinational seed companies,” he said referring to work done by DU scientists. The BJP however says that the state government's stand is because of Mamata Banerjee's confrontation with Narendra Modi. The Trinamool Congress, however, says that it is only trying to protect the interests of farmers and prevent them from “committing suicide” because of the Centre's policies.